As some of you may know, last week I was at TEDx Florianópolis (TEDxFloripa) where I gave a talk on designing customer experiences with soul. One of the key insights that comes out of this dynamic way of understanding the customer experience is that we are our customer experience. The essence of who you are fully comes to presence in the experience of those who are not your customers. I was flying on a trip, and I was witness to an incident where a passenger attempted to board before their number was called, and I watched the gate agent treat this man like he had broken the law, like a criminal. He was yelled at for attempting to board one group too soon. All she was telling me is that she doesn’t feel safe. All she was telling me is that she doesn’t trust her leaders. The reason we like flying Southwest Airlines is not because they necessarily hire better people. It’s because they don’t fear their leaders. This is a really telling observation, especially if we take a dynamic view of understanding wholeness in organisations. The essence of a brand comes to presence through each of the parts, and if leaders do not understand this, then if they are not able to ensure that each and every person is fully engaged in their work, then we will experience this in our interactions with the company. 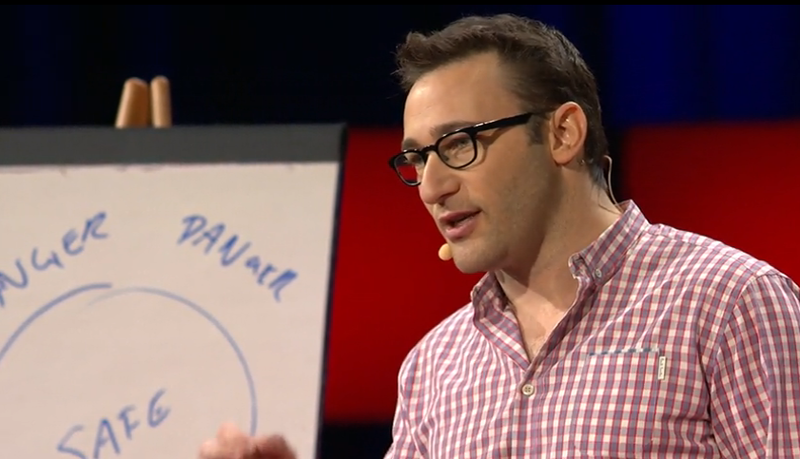 I think the really interesting thing that Sinek does in his book Leaders Eat Last: Why Some Teams Pull Together and Others Don’t is that he is not removing corporate hierarchies, but inverting them. The name of the book comes from a phenomenon Sinek witeness when working with the US Marine Corps, whereby junior soldiers eat first, and the most senior leaders eat last. This happens because in the US Marines, the true leader is expected to place the needs of others above their own. This is the reason so many people have such a visceral hatred, anger, at some of these banking CEOs with their disproportionate salaries and bonus structures. It’s not the numbers. It’s that they have violated the very definition of leadership. They have violated this deep-seated social contract. We know that they allowed their people to be sacrificed so they could protect their own interests, or worse, they sacrificed their people to protect their own interests. Sinek does of course cite much research in his book, including results from the Deloitte Shift Index which reported that 80% of people are dissatisfied with their work. If this is the case, is it no wonder that so many of us are dissatisfied with the experiences we have as customers? Great companies are the ones who design customer experiences with soul. It is not possible to offer an authentic customer experience when the leadership is counterfeit, talking the talk but not walking the walk. Sinek has been hugely influential in helping companies discover their why, and this is absolutely necessary in developing living and authentic brands. But that is not sufficient on it’s own. Leaders have to have teams which can really pull together, supporting each other whatever circumstances may arise. Organisations have to have values, and each and every person needs to feel valued, trusted and safe. When this happens, the extraordinary can be achieved.